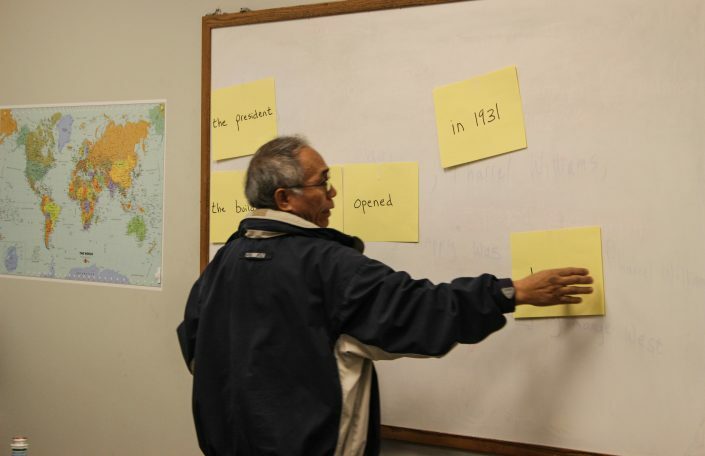 In the fall of 2011, a group of community leaders who work to serve refugees in Nashville, TN came together to discuss the top barriers that refugees face in attending ESL classes. The lack of transportation surfaced at #1 on the list. 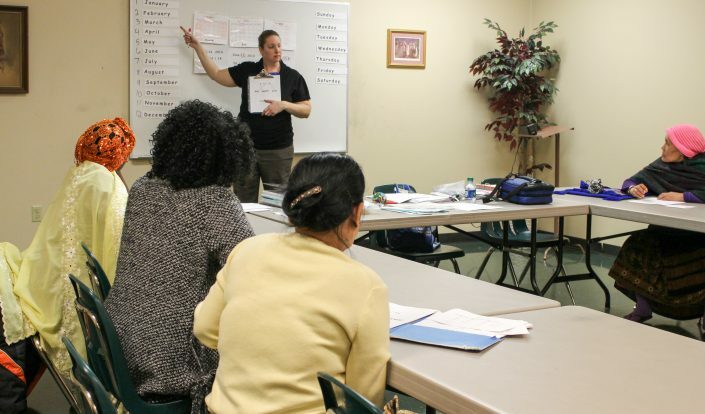 Angie Harris, former ESL/TESL director at TN Language Center – formerly TFLI, was present at the meeting and had an idea. 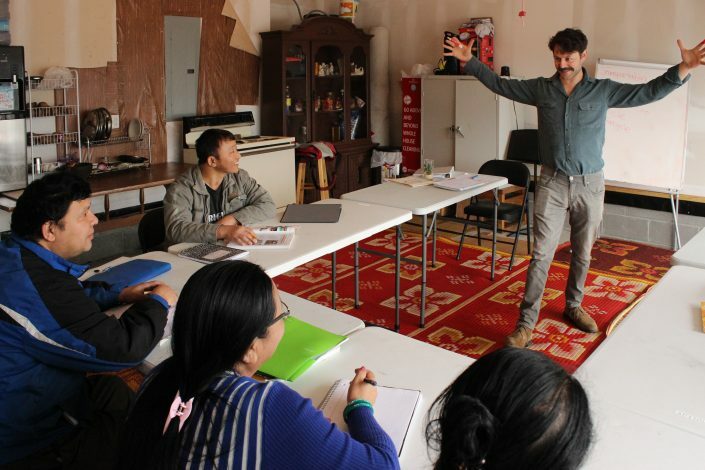 Modeled after a bookmobile, Harris imagined a classroom on wheels that would travel to the apartment complexes where refugees live, eliminating the need for transportation to and from class. 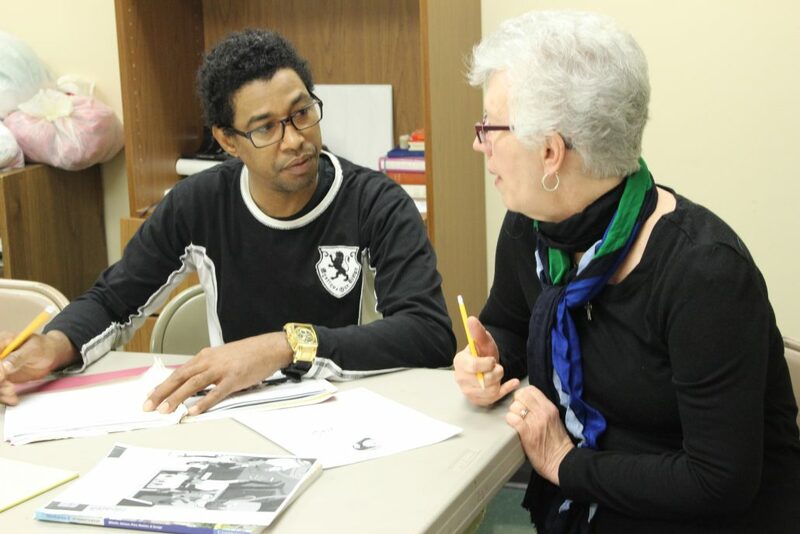 Harris mentioned the concept to then volunteer, Leah Hashinger, and from that point on, the two women passionately worked towards making Harris’ vision a reality. 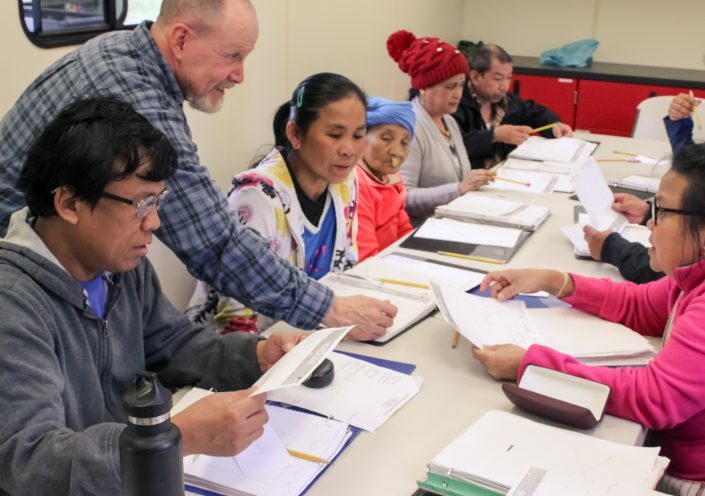 With over $14,000 in personal contributions and generous grants awarded by the Frist Foundation, the Martin Foundation, and the Memorial Foundation, TN Language Center was able to purchase Tennessee’s first mobile ESL classroom. 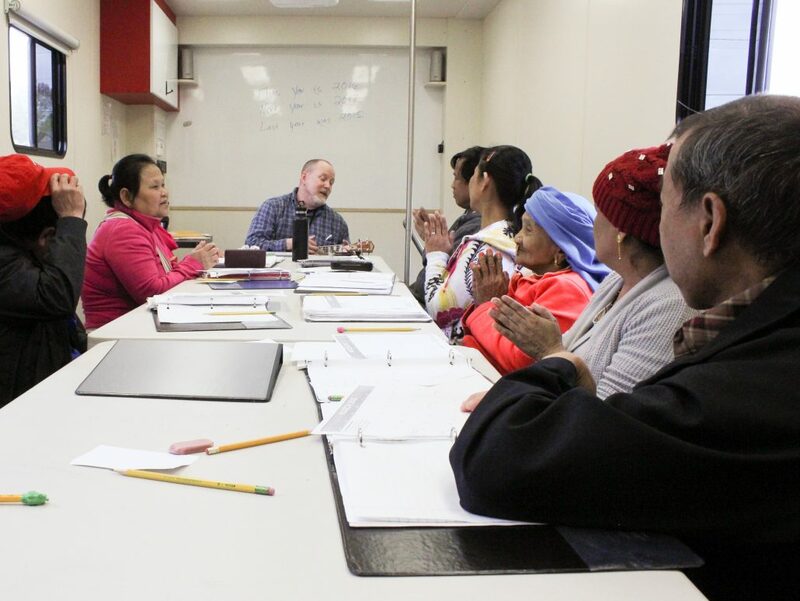 The 34 foot truck is specially designed and engineered to be a fully-functioning ESL classroom on wheels. The unit comfortably seats ten students and includes a teacher’s work space and cabinetry for storage, as well as amenities such as white boards and a projector. 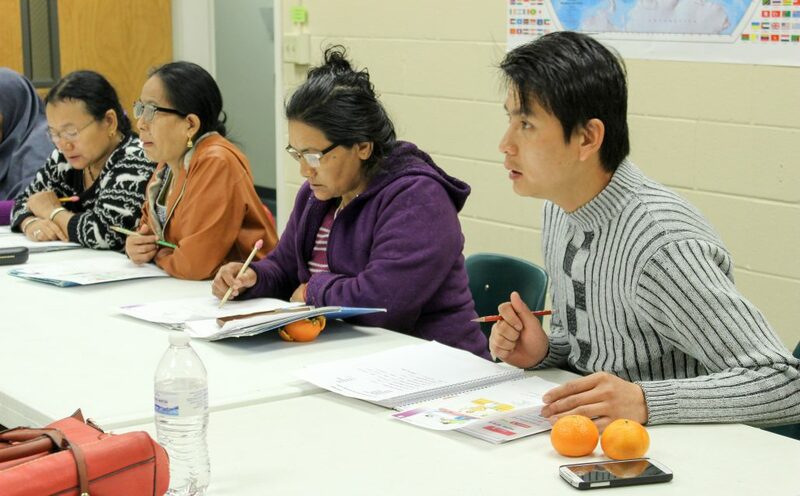 ESL to Go is successful because of our commitment to community collaboration. By working with Resettlement Agencies and other organizations that serve newcomers, we are able to collectively make ESL class offerings more available to refugees throughout Middle-Tennessee. ESL to Go specifically serves adult learners with refugee status. 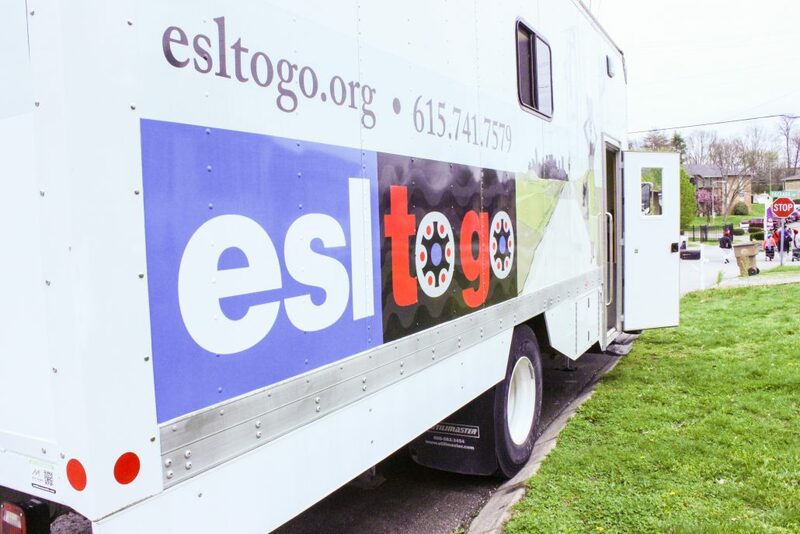 As of September 2016, ESL to Go has served 1122 students from the following nations: Afghanistan, Bhutan, Burma, Colombia, Cuba, DRC, El Salvador, Ethiopia, Eritrea, Iran, Iraq, Kashmir, Kurdistan, Mexico, Rwanda, Somalia, Sudan, and Syria. Our students come to us from various educational backgrounds. 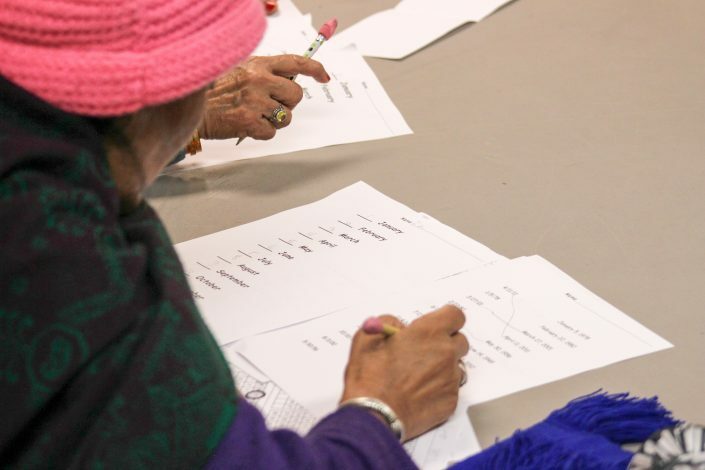 They range from having little to no literacy skills to being conversational in English. 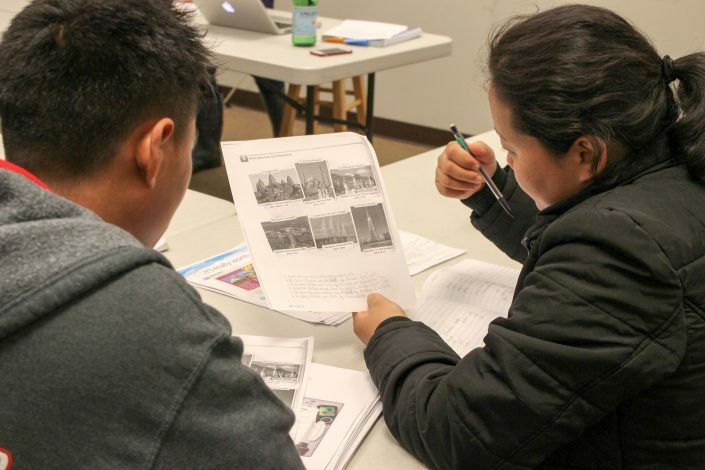 Want to know if you or someone you know qualifies for free ESL classes with ESL to Go? 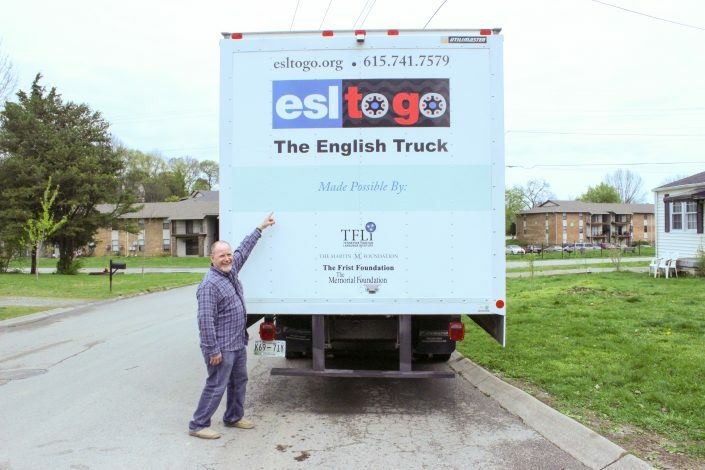 Contact esltogo@tfli.org or call 615-741-7579. 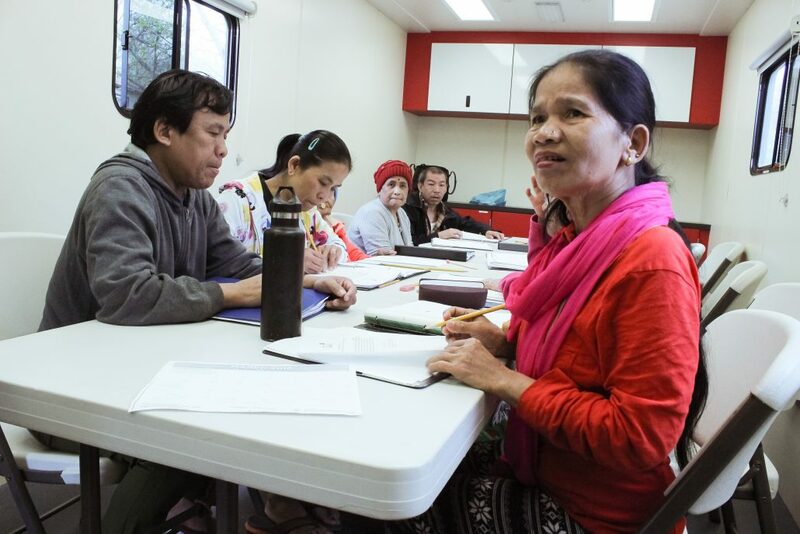 The ESL to Go team seeks opportunities to educate the community on the refugee population in Nashville. For all speaking engagement inquiries, please contact esltogo@tfli.org .